Shamma Buhazza is a Graphic Designer based in Germany. She received her BFA from Parsons School of Design in 2015. She has previously worked as an graphic designer at Slash in Dubai, and has freelanced for two years after. She is currently a graphic designer at Adidas HQ in Germany. Disorientation (2018) Why should your cultural background limit you to how you identify yourself? Coming from a mixed background being Emirati, Bahraini quarter British and quarter Somali I am often asked if I feel more of one than the other. 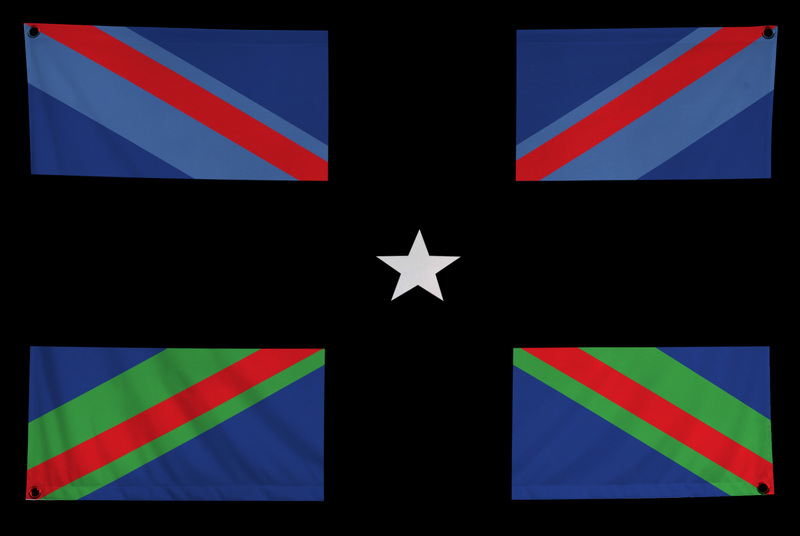 Using a flag which symbolizes and represents a country as a whole, I have designed my own series of flags which attempt to culturally identify myself as an individual. 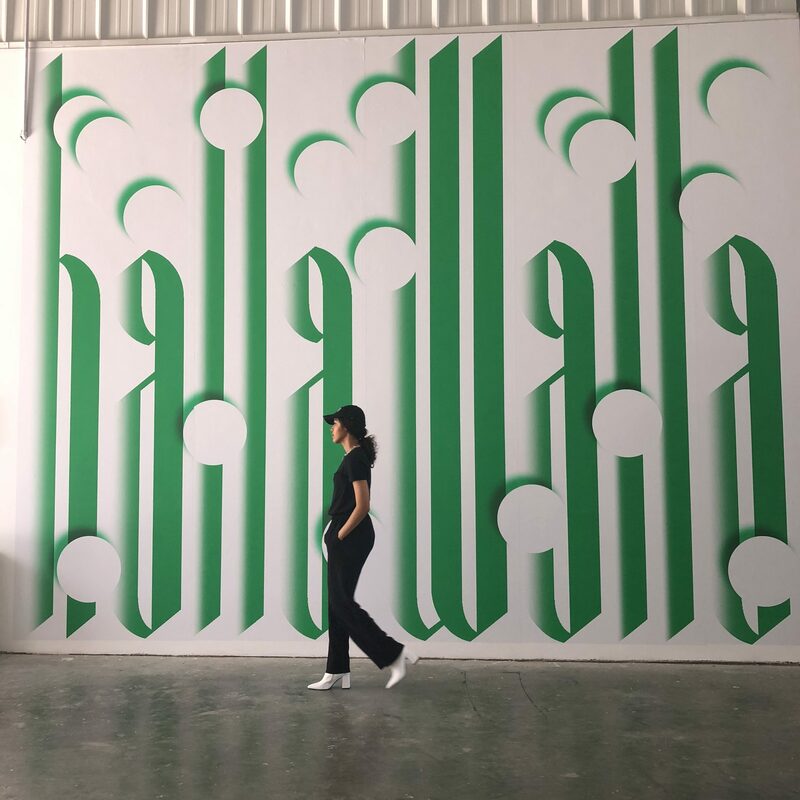 Halla Walla Mural (2018) The Typographic treatment of the phrase “Halla Walla”, which roughly means “What’s up?” or “Welcome,” translates language and slang into visual forms. The word has been illustrated in phonetic form as well in Arabic. To be patient and not worry about getting a job or internship straight out of school and spend the time I had in college researching more and focusing on creating meaningful work. 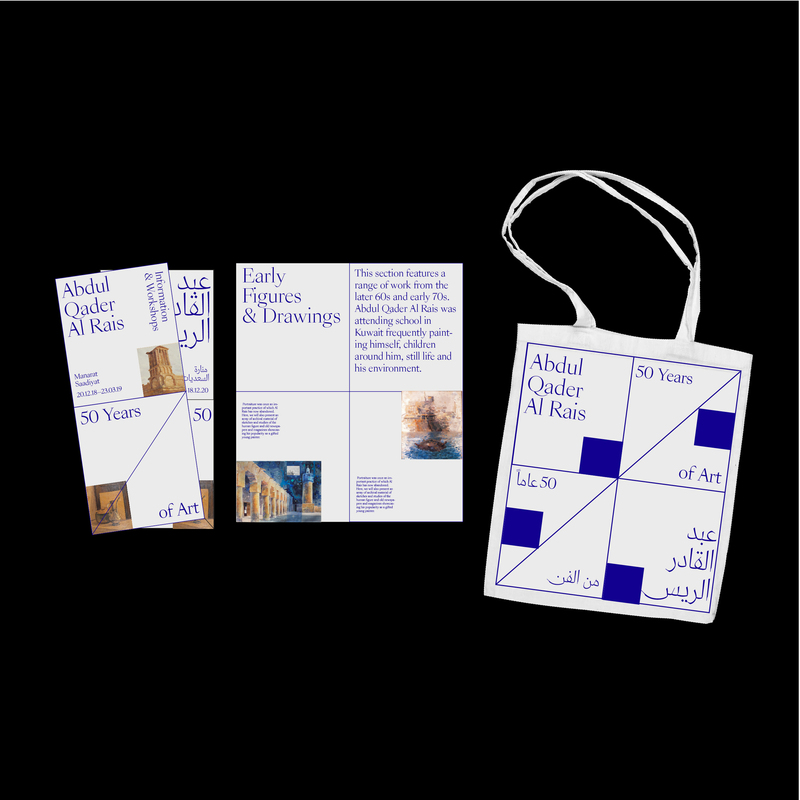 VENICE BIENNALE, UAE PAVILION (2017) For the exhibition “Rock Paper Scissors: Positions in Play” curated by Hammad Nasar an exhibition identity that is inspired by geometric shapes that provide a visual identity that is flexible and adaptable. 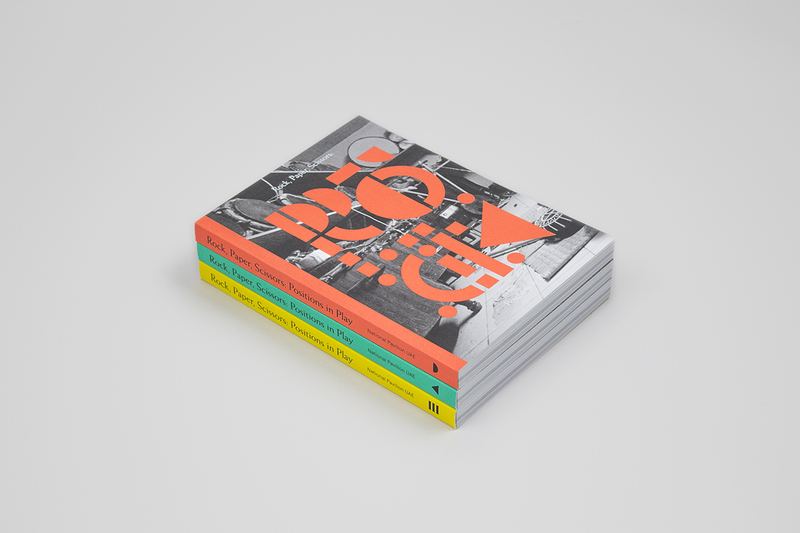 It creates a visually arresting identity that suggests chance, repetition, juxtaposition and movement. Designed in collaboration with Luke Gould & Joe Pochodzaj. Learning the difference between commercial work and meaningful work.